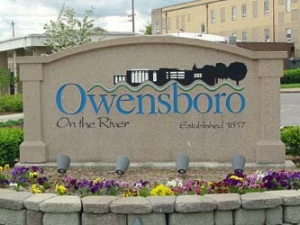 The Owensboro Human Rights Commission is proposing a fairness ordinance for the city. Seeking the passage of three pieces of legislation protecting against discrimination based on sexual orientation, more than 200 people rallied on Wednesday in the Capitol Rotunda with Kentucky's Fairness Campaign. Rep. Mary Lou Marzian, a Democrat of Louisville, is sponsoring a bill that would prevent employers from discriminating against employees based on sexual orientation. The bill, along with Senate Bill 28, would also make it illegal for landlords and real estate agents to discriminate on those grounds. "I think the realistic hope is that we might get the first ever hearing on the anti-discrimination fairness law in House Judiciary this year," Fairness Campaign director Chris Hartman said. "That's really what we're gunning for. Even if it's an informational only hearing it would be the first time they've ever discussed the bill on the record."